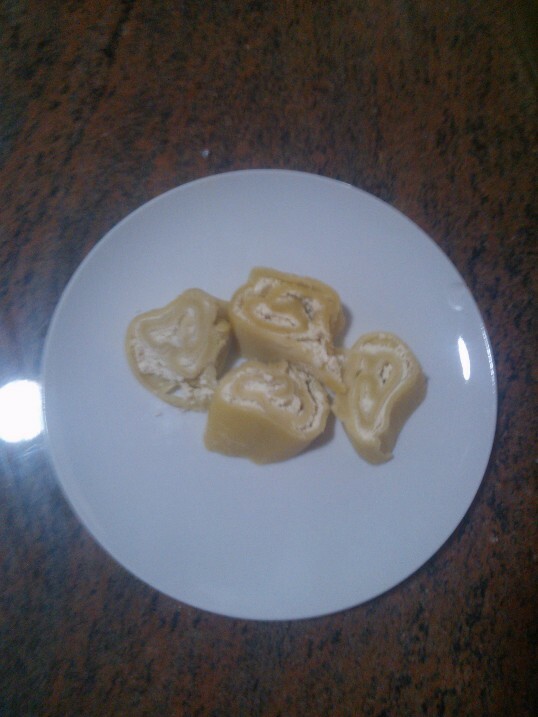 A type of cottage cheese rolled dumplings is a traditional food in Slovenia. It is actually the one that I usually make if asked to cook something from my own country. The reason is simple. I am vegetarian, I don't like fermented food and usually don't want to spend up to 10 hours in the kitchen for just one dish. The number of remaining dished that could be considered traditional in Slovenia is small, and this is one of them. There exist quite a couple of variants. If they are to be used as a side dish, then they are usually made sour. But they can be made sweet and used as a dessert. They go along together with with with any kind of sauce or breadcrumbs. Breadcrumbs are heated in the pun in the melted butter.